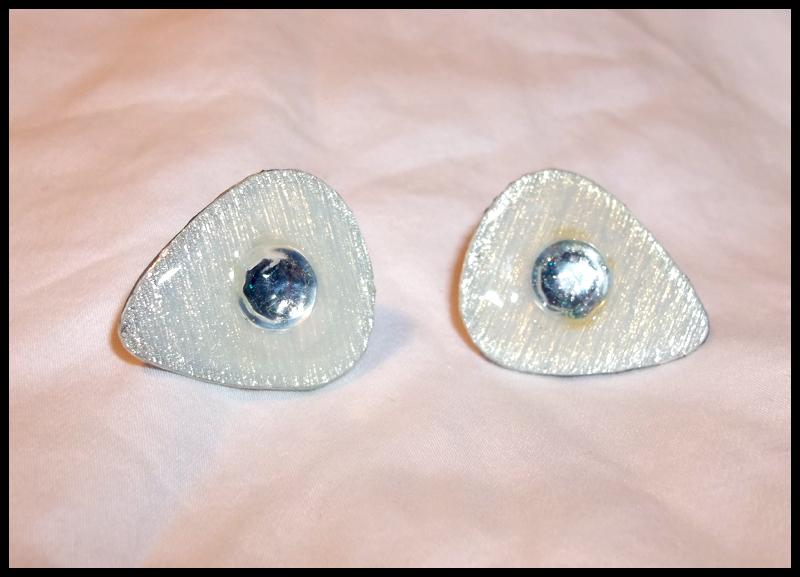 Shiny Silver Guitar Pick Stud Earrings! Silver color pendants with big clear gems. Backside has a light wood grain pattern with light glitter. These are stud earrings.